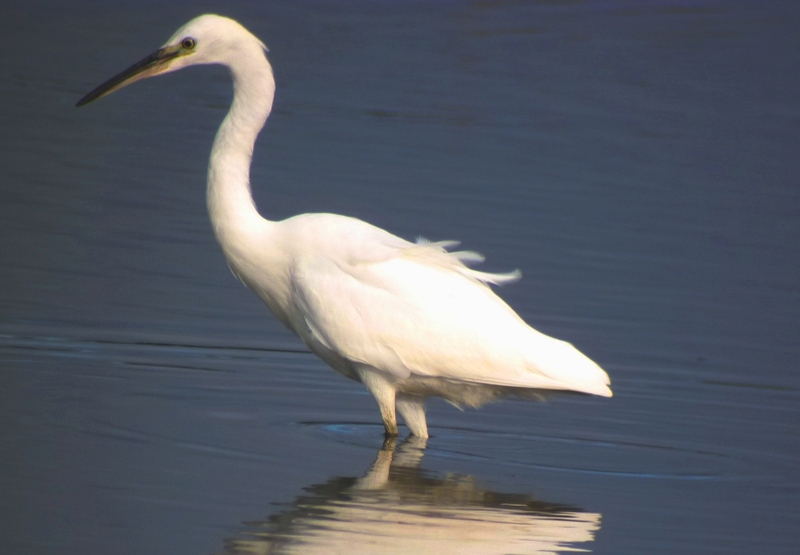 From top -Dingle reedbed, blue-zone at Minsmere grazed by Koniks, Little Egret. The tour of reedbeds reached the home straight this week with a visit to Dingle Marshes, part of the Walberswick complex on the Suffolk coast. 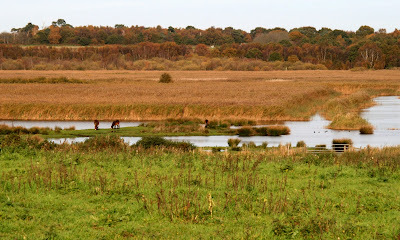 This is an old, very interesting reedbed, the wetter areas good for Bitterns, the dryer rich in invertebrates and flora. However, looking down from the hill, the first thing that strikes me is the quality of the ‘blue-zone’ around the margins. Blue-zone is the name given to a grazed habitat on the outer edge of the reedbed within the zone of water level fluctuation. As winter water levels recede in the spring, animals follow the water down, grazing the reed and opening up the habitat. As water rises again in the following autumn, a flooded zone is created on the outer margin of the reedbed. Blue-zone management allows a range of wetland plants to flourish, and importantly, can act as a nursery area for fish, or an ideal area for amphibians, and is excellent for invertebrates. At Dingle, we graze with ponies, mainly Koniks, although the picture shows Exmoors. These beasts can create excellent pools through their actions of digging up rhizome to eat during the winter months. Blue-zone is excellent for birds. Herons, egrets and wildfowl all feed in this habitat. Bitterns have also been shown to feed extensively in such areas. Ranker areas attract Spotted Crakes and it is classic winter habitat for Water Pipits. In spring, waders and duck breed around the shallow pools. 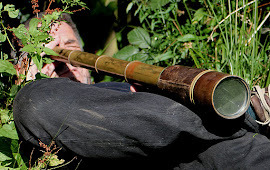 Blue-zone is now a management target on many of our reedbed reserves. Extensively employed in Scandinavia, where it is known as ‘blå bård’ (blue-border), it is considered the most productive area of shallow freshwater wetland for waterbirds. 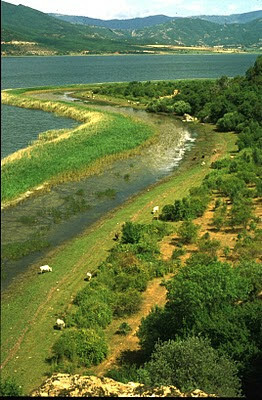 Good examples also exist elsewhere around Europe, with an excellent example at Lake Mikri Prespa in Greece (below - photo Yannis Kazoglou) targeted for Pigmy Cormorant, Dalmation Pelican and Glossy Ibis conservation, and grazed with cattle and water buffalo.